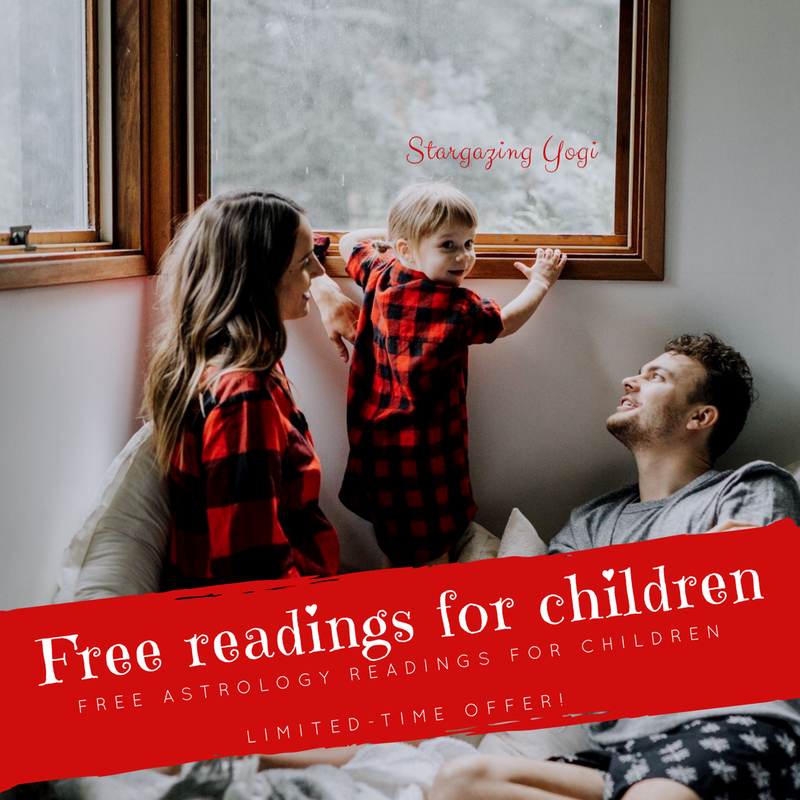 I’m thrilled to announce that I am offering a limited-time promotion for FREE astrology readings for children! When I first became passionate about astrology as a key to understanding ourselves, one of my biggest areas of focus was on how we can use it to identify our potential greatest gifts and talents, and I would like to help parents to reveal these gifts as early as possible in their children! In a child’s reading, I focus on key personality traits, fundamental needs, motivators, strengths to encourage and greatest potential for life-path opportunities. Each reading for children includes a copy of your child’s natal chart, a 45 minute podcast recording and a 2-page written summary. Click here to sign up and secure your spot as this offer is only available for a limited time! Thank you!